A couple of week's ago, Dan Lepard published a delicious sounding recipe for Orange Custard Cream Cupcakes in The Guardian. 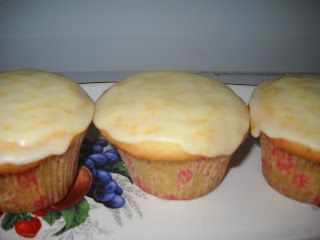 These beautiful cupcakes were made with cream in the batter instead of milk, and were filled with an orange custard. 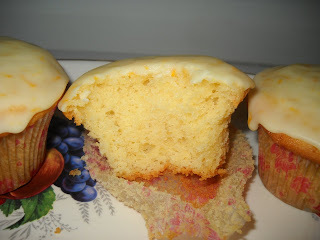 The icing, made with orange juice and zest, provides a lovely fresh flavour to the cupcakes, so don't skip it. These cupcakes are tangy, moist and soft, at least partially due to the cream. The cupcakes went in a flash at work - the proof of the pudding is in the eating, I say! Meatballs - not a word that usually conjures up great delight in my soul. However, I know that lots of people love them, and I figured that maybe my indifference to the meatball was promoted by the fact that I have not really tasted any good meatballs (sorry Ma!). With this in mind, and meatballs being a warm and comforting meal to have during winter, I was inspired to give meatballs a chance by Angela Hartnett's recipe for meatballs with tomato sauce, found here in The Guardian. It is very hard to make meatballs photogenic - after all, they are brown food that are not shiny and pretty like chocolate. However, don't let the photo put you off - these are seriously good, and restored my faith in meatballs. Angela's tip for soft, juicy meatballs is to bind them with bread soaked in milk, rather than using an egg, which makes them hard. The technique worked, although in future I would probably blitz the bread coarsely in the food processor before soaking it in the milk, as I found it difficult to break down the bread chunks in the meatballs, so that I had tasty but unattractive gobs of white bread throughout them. 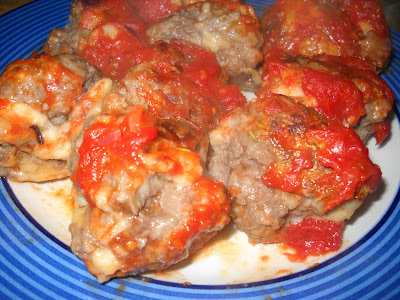 However, the recipe does result in tender, juicy, tasty meatballs. I tweaked the recipe by using only beef mince (apparently veal mince is too different for Woolworths), substituting dried rosemary for the fresh parsley, leaving out the anchovies (as I didn't have any) and seasoning my tomato sauce as well as the meatballs with salt and pepper. Whether or not you are a meatballs fan, this is a very tasty recipe, and a nice winter staple to have on hand. Another week, another Tuesday with Dorie! This week's challenge is Dorie's Sour Cream Chocolate Cake Cookies, chosen by Spike of Spike Bakes. As was suggested on the forum, these cookies would make perfect icecream sandwiches, because they are flat and soft . However, the combination of winter and my need to be able to transport these to work meant that I left the cookies in their natural state. 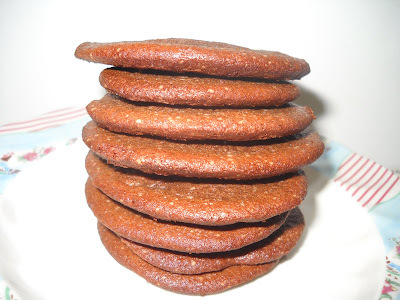 These cookies look and feel a little like frisbies, but one bite and you are gone - they really are cake in cookie form, and taste so chocolatey and rich, you can't stop at one. Spike will have the recipe or buy the book. And to see what everyone else made of these cookies, visit the LYL section of the TWD website. Baklava is one of those Greek sweets that, when you are in the mood for sticky sweetness, is very moorish, but which can be overwhelming at other times. I have never made my own baklava - until now. 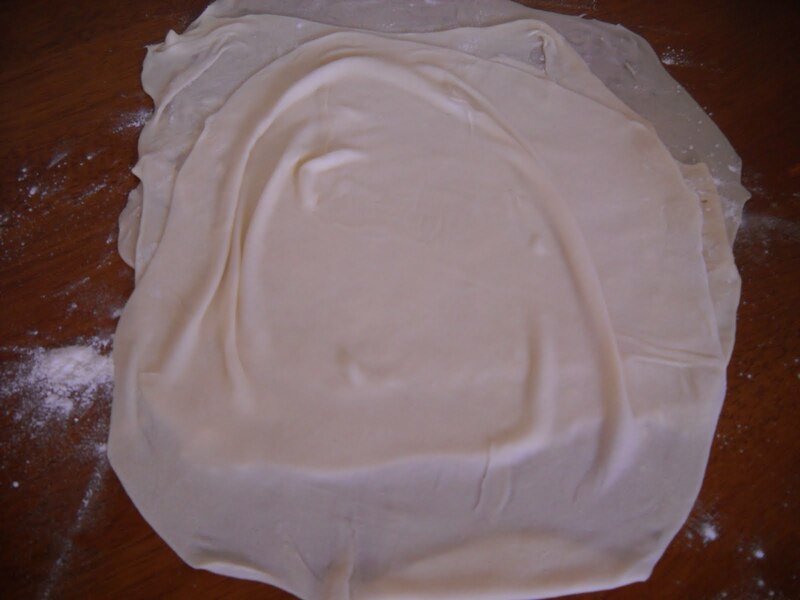 Until I started blogging, I thought that phyllo only came in boxes in the freezer section of the supermarket; then my friend Ivy made her own, and I realised it could be done. However, it seemed pretty daunting, and I had never made phyllo until this challenge. Unfortunately, I did not get near enough sheets out of the recipe to make the number of layers required, so I winged it with fewer layers. 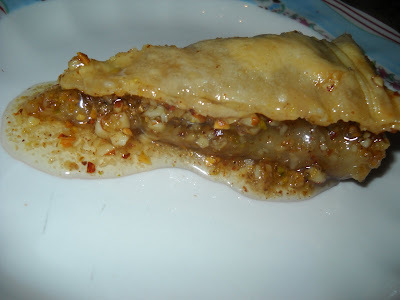 The phyllo unfortunately stuck together a little, so I had a hard time creating layers in the pan. Ah well, it still tasted good. 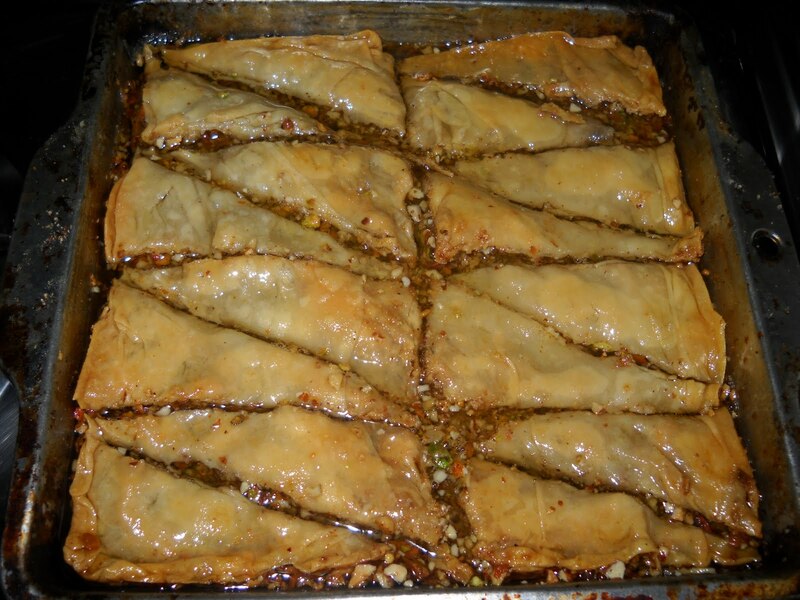 If you love baklava, visit The Daring Bakers website to see a slideshow of lots and lots of baklava to make your mouth water. Thanks to our host Erica for introducing me to the art of making phyllo. Tres leches cake is not well known in Australia. However, from the moment I first read about this cake, which literally means "three milks" cake in Spanish, I was eager to try it. 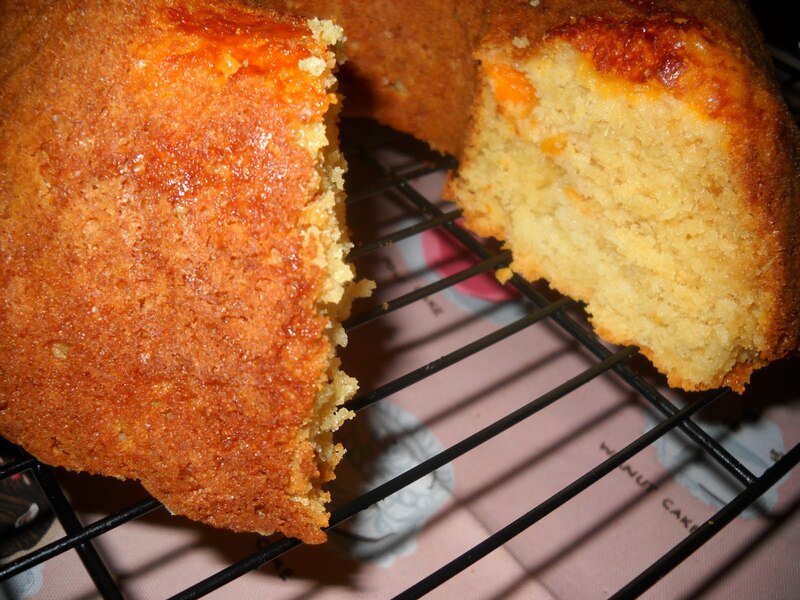 The cake is a loose crumbed golden sponge cake which is soaked in three milks, making it sweet and moist and dense. The three milks are evaporated milk, condensed milk and cream. The presence of condensed milk had me swooning. As a child, I used to eat condensed milk by the tube - I adored it, and when my mother opened a can of condensed milk, she always gave me the empty tin and lid to lick the remnants of the sweet, sticky milk within. The cake is traditionally topped with whipped cream, making it an indulgent delight. 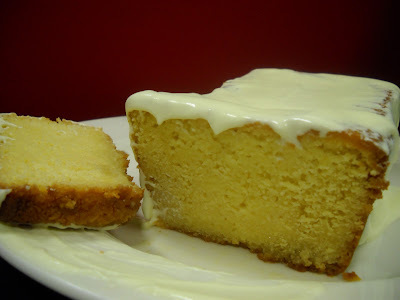 The recipe that I used for tres leches cake came from Jane Asher's Beautiful Baking. I will confess that my cake sunk a little in the middle, but in the end, I don't think this mattered one jot. It still looked and tasted fantastic! Place the butter and sugar into a stand mixer and beat until light and fluffy. Add the eggs gradually, beating all the while. Fold in the sifted flour, then stir in three tablespoons of the evaporated milk. Spoon the batter int the prepared loaf tin, and smooth out evenly. Place the cake in the oven and bake for 40-50 minutes or until cooked through. Remove the cake from the oven leave it in the tin. While the cake is still hot, poke holes in it with a skewer or a fork, right down to the bottom of the cake. Mix together the cream, evaporated milk and condensed milk, and pour them evenly over the cake, pressing on the top of the cake as necessary to help the milks to penetrate into the cake. Refrigerate the cake over night. Remove the cake from the tin, and spread with whipped cream. Cut into slices. Enjoy! This cake is so dense and moist that they thought it was a white chocolate mud cake at work - so if this sounds like you, try the tres leches cake. This week's French Fridays with Dorie posed a few challenges for me, because it is a mozarella, tomato and strawberry salad. As the name suggests, it is very summery, and I was unable to obtain one of the ingredients, basil, it being a summer herb, and it being winter in the Southern Hemisphere. I was unenthused about making this, not being much of a salad person, but the results surprised me. 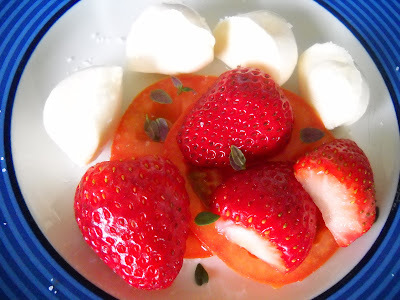 But then again, how can juicy strawberries and mozarella (in my case, boccanccini) drizzled with olive oil and flavoured with salt be bad? To replace the basil, I used a few fresh thyme leaves. I left out the pink peppercorn garnish - I have pink peppercorns but couldn't find them in my crowded pantry cupboard. 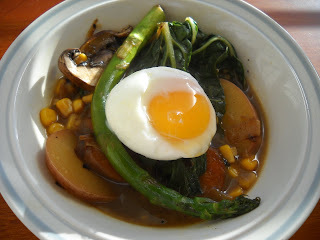 I would be willing to try this again as a side dish in the summer. To see what everyone else thought of this salad, visit the LYL section of the FFwD website. What could be better than cupcakes two days in a row, eh? Today's cupcakes, also made for The Biggest Morning Tea, are also from The Cupcake Deck by Elinor Klivans - this time, Apple Streusel Cinnamon Swirl Cupcakes. You can find the recipe here, although the Google picture is not the one from my version of The Cupcake Deck and is not what these cupcakes look like. 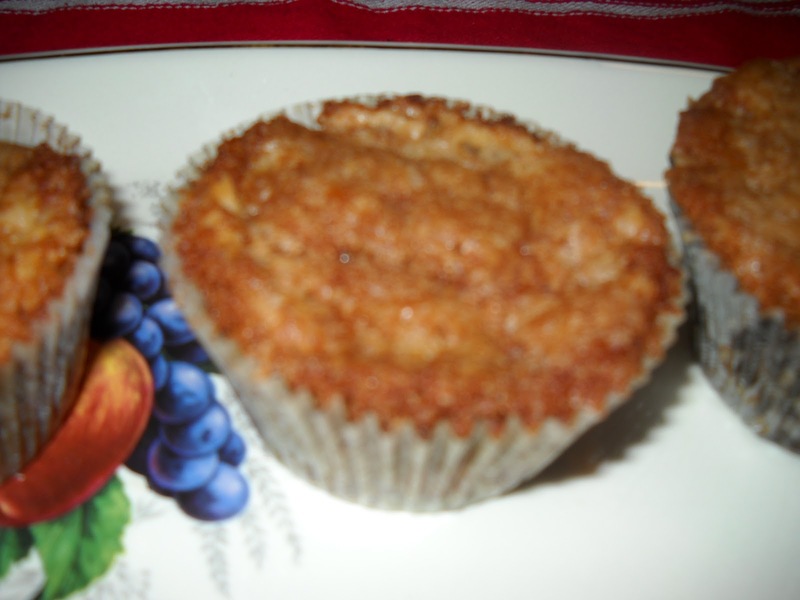 ﻿I must confess that I didn't get to try these, although they sound delicious - who could resist grated apple, cinnamon and streusel in the one cupcake? Thanks to Stevie and Craig for giving me The Cupcake Deck - you can see that I have had fun with it guys! An age ago, for The Biggest Morning Tea to raise money for cancer research, I made Elinor Klivan's Spiderweb Pumpkin Ginger Cupcakes. You can find the recipe here. 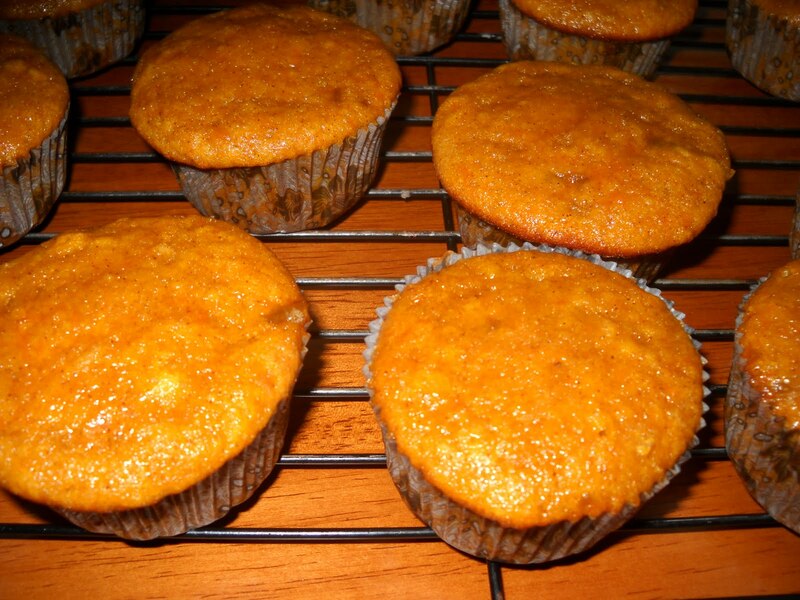 The cupcakes contain canned (or in my case, mashed) pumpkin, ground ginger and crystallised ginger, and are frosted with cream cheese frosting. 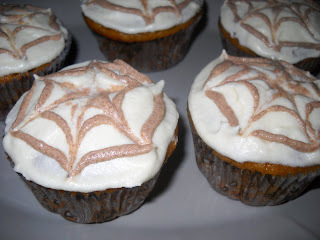 The spider webs are piped on using frosting that has been mixed with cinnamon for colour and flavour. Unfortunately, I found these cupcakes tasted a little "meh" - they were OK, but did not live up to the tantalising promise of pumpkin and ginger that I had hoped. They were definitely outshone by the chocolate cake balls, both for me and the punters at work. Maybe you have had a better experience with these cupcakes - if so, I would love to know. 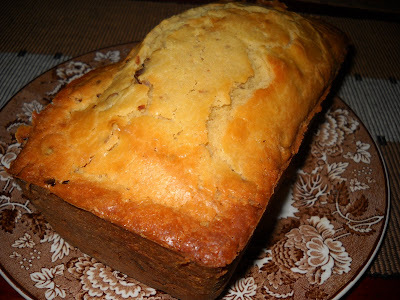 I am a fan of date loaf, so I was intrigued by this week's Tuesday with Dorie recipe, a Date Nut Loaf, chosen by Mary of Popsicles and Sandy Feet. The intriguing part of the recipe for me was the addition of cream cheese to the batter, which I have never seen done before. However, unfortunately, just like some men of this description, it was slightly disappointing. It was a little on the dry side, and didn't have the same juicy moistness of my Mum's date loaf, where the dates are soaked with a mixture of bicarbonate of soda and boiling water before being added to the cake. Don't get me wrong - this cake is quite pleasant, but it will not replace my existing date loaf recipe. 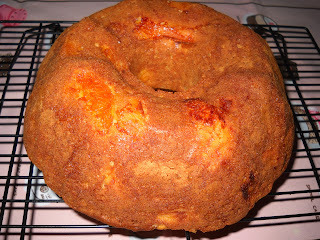 To get the recipe, buy Baking From My Home to Yours by Dorie Greenspan, or visit Mary's website. To see what the other TWD members thought of this cake, visit the LYL section of the TWD website. Jan from work recently gave me a huge bag full of grapefruit from her mother's tree. They were very gratefully received, and my first thought as to what to make with them was grapefruit marmalade. After flicking through a few recipes, I chose to make Nigella Lawson's pink grapefruit marmalade from p351 of How To Be A Domestic Goddess, using ordinary grapefruit rather than pink grapefruit. You can find the recipe online here. This recipe won me over because it does not require the fruit to be soaked for 24 hours beforehand, and the whole of the fruit is used, pith and all. The finished product is a rather bitey marmalade, despite the 1kg of sugar used in making it. I assume that using the pith as well as the flesh and skin of the grapefruit added to the tartness. However, if you like your marmalade to really zing, this is a good recipe to use, and it is a no fuss way to make marmalade. 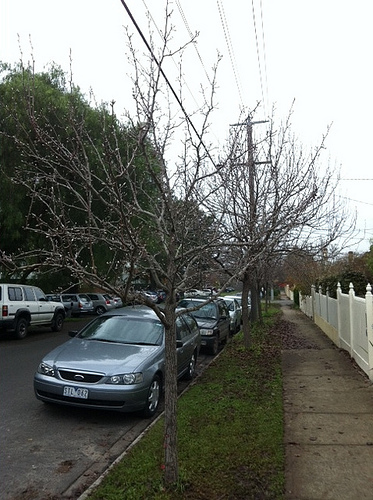 It is now mid winter here in Melbourne, and the days are short and cold. 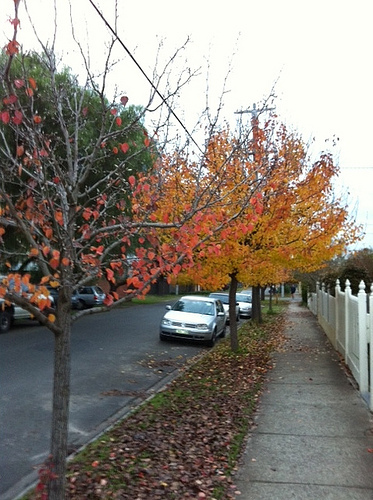 I found the transformation of the trees in my area quite fascinating, as they changed from green to gold and red, then finally faded and fell to the ground. The photos in this post share that magic with you. The top photo was taken in April, just after the leaves turned. The days were still uniformly sunny and bright, and the sky was brilliant blue. This photo was taken about a month later. Most of the leaves were still clinging to the trees, but the colours had faded, and some leaves had succumbed to the inevitable and fallen to the ground. By the end of May, a few good heavy rains had knocked all of the leaves off the trees, leaving stark grey skeletons reaching hopelessly into the dank grey sky. We have had some wonderful sunny days since this photo was taken, but the grey days are more regular than in the warmer months. I hope you are enjoying your weekend and that you enjoy this winter montage! This week's French Fridays with Dorie sees me very much in my comfort zone with roasted rhubarb, a dessert that I have made numerous times before. 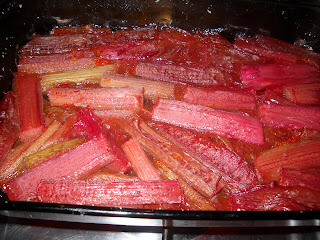 Dorie's version of roasted rhubarb adds orange zest to the sugar with the rhubarb for some added zing. I adored the slightly tarty, slightly sweet finished product, which I served on top of porridge, with a dollop of quark on top, and on its own. Look at that gorgeous magenta colour - what's not to love? It is winter here, so I was lucky to come across some rhubarb at the supermarket, as rhubarb is a summer crop. 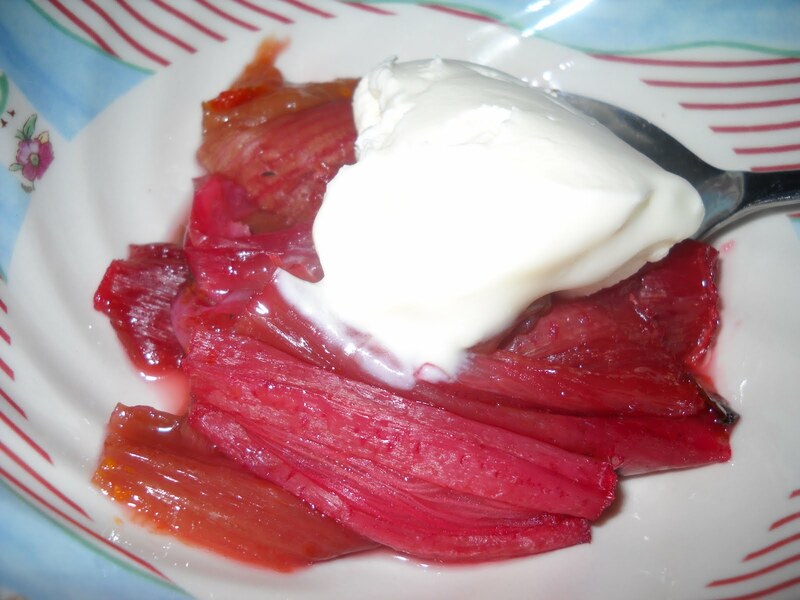 If you have never tried rhubarb before and love a slightly tart dessert, then you should try this one - it's delicious. To check out what all the other Friday Doristas thought of the roasted rhubarb, visit the LYL section of the FFwD website. My Mum is down from "up North" to stay with me this week. It has been rather a novelty to have someone to stay, so I have been enjoying it. The weather in Melbourne has also smiled on us, as for the most part, we have enjoyed sunny, albeit cool, weather this week. Mum bought June edition of The Australian Womens Weekly to read at night. Julie Goodwin, the winner of the first season of Australian Masterchef, has a regular cooking feature in the magazine. One of Julie's recipes this month, a recipe for Apricot Sour Cream Cake, caught Mum's eye, so of course I had to make it for her. The cake contains tinned apricots, so it doesn't matter that we are in the depths of winter and apricots are out of season. 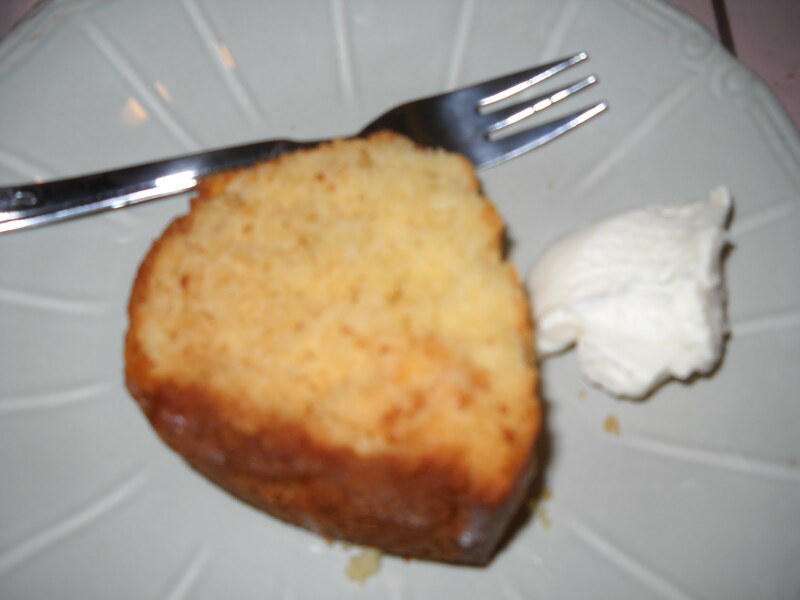 In the cake batter, sour cream is added instead of milk to give the cake lightness and added tang. I think this cake would be good fresh out of the oven with custard, but cold the next day, it was perfect. Julie frosts her cake with sour cream and white chocolate frosting; I skipped this, but it sounds delicious, so I have included it. Preheat your oven to 180 degrees Celsius. Grease a 25cm bundt pan and set aside. Beat the butter, sugar and vanilla together in a stand mixer fitted with a paddle attachment until light and creamy. Beat in the eggs, one at a time. Using a rubber spatula, fold in 1 cup of the sour cream and the chopped apricots, then fold in the sifted flour and bicarbonate of soda. 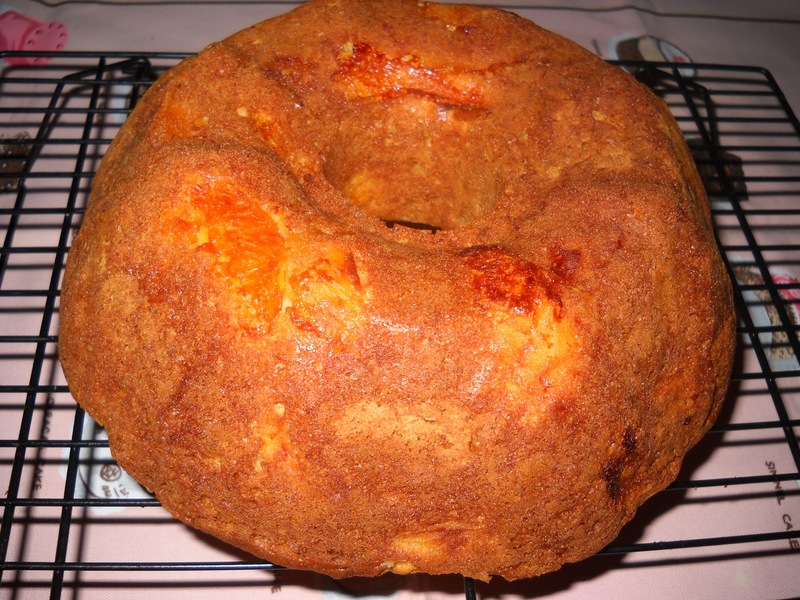 Spread the batter evenly in the bundt pan, and bake in the preheated oven for 40 minutes or until cooked through. Remove the cake from the oven and turn out onto a wire rack to cool. Combine the remaining 1/4 cup sour cream and white chocolate bits in a microwave safe bowl, and microwave on high for 1 minute or until melted, stirring half way through the melting time. Allow the mixture to cool slightly and thicken, then drizzle over the cooled cake. I attend clinical Pilates once a week as a means of preventing my back from being injured, or at least to minimise the impact of any injuries. It has transformed my life to the extent that I imagine something terrible is going to happen to my back during the weeks when I don't go. My two longest serving Pilates instructors have been Dom, who has since disappeared to another life, and Emilia, who became my Pilates instructor when I returned to Melbourne after a short hiatus back in my home state. Both of them have transformed me physically, in that I do not have to attend physiotherapy 3 or 4 times a week to try and persuade my reluctant lower back and glute muscles to relax and let me move. They are also good fun, and can often lift my mood with their light-hearted banter even after the darkest day at work. 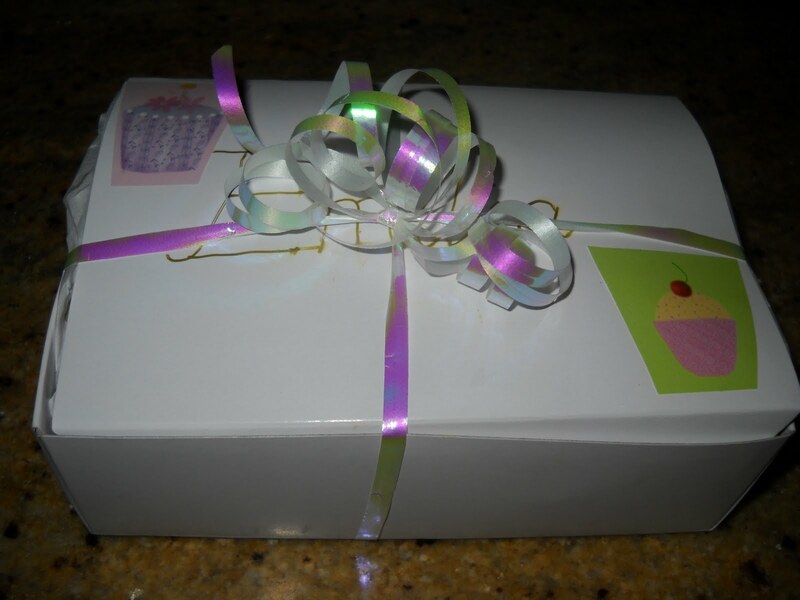 It was recently Emilia's birthday, and as I bore her every week with talk of what I have made that week, I decided to make her some baked goods for her birthday. A quick survey of the ingredients that I had to hand led me to make Lemon Polenta Apricot Cookies for Emilia. I found the recipe on 6 Bittersweets, via Russian Season. 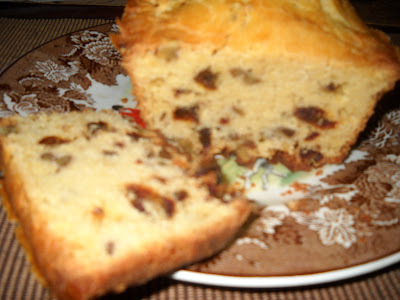 Like Russian Season, I substituted dried apricots for dried cranberries, as that is what I had to hand. 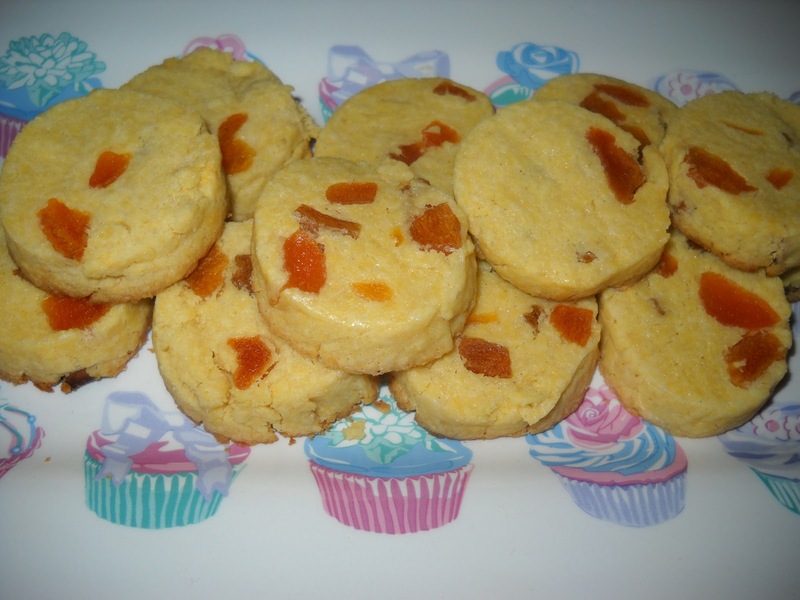 These cookies are quite easy to put together, and have the lovely flavour mix of cornmeal (which also adds crunch), sweet apricots and tangy lemon. They are made by rolling the dough into logs, then chilling it before slicing it into coin-shaped cookies. The cookies are surprisingly tiny and bite-sized - perfect if you like to have more than one! Apparently they were a hit, not just with Emilia, but with her other Pilates disciples and co-workers. That would be a win in my books! These cookies are definitely keepers - so the next time the girls are coming round for tea, or to have on hand when the kids come home from school, you can't go wrong with these cookies. 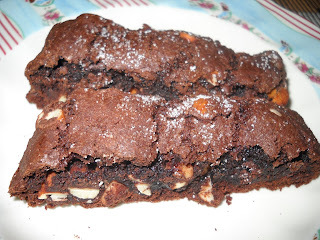 This w﻿eek's Tuesday with Dorie challenge is Chocolate Biscotti, chosen by Jacque of Daisy Lane Cakes. These biscotti are chunky, uber-chocolatey and packed with almonds. They were a snap to make - I didn't have any issues with the dough crumbling when I cut it mid-baking. Although nothing like the ultra-thin, sleek biscotti I am used to, these were very good, and disappeared in no time at work. To get the recipe, buy Baking from My Home to Yours by Dorie Greenspan, or visit Jacque's site. To see more chocolate biscotti, visit the LYL section of the TWD website. You are probably just as surprised as I am to find that recalcitrant me has actually completed a French Friday with Dorie challenge by Friday instead of the following Sunday. Hooray! 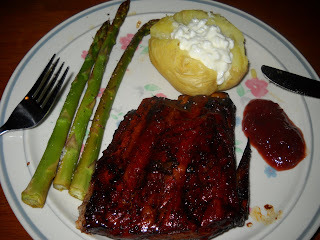 This week's challenge sounded very appealing to me - Cola and Jam Spareribs. I have wanted to make Nigella Lawson's cola baked ham forever, so for me, this was the next best thing. The recipe is dead simple - baste pork spare ribs with melted apricot jam, bake them for a while, then finish off by baking them some more in a cup of cola. As expected, the end result is sweet, sticky ribs, which are even better the next day. What can I say - this was seriously good! 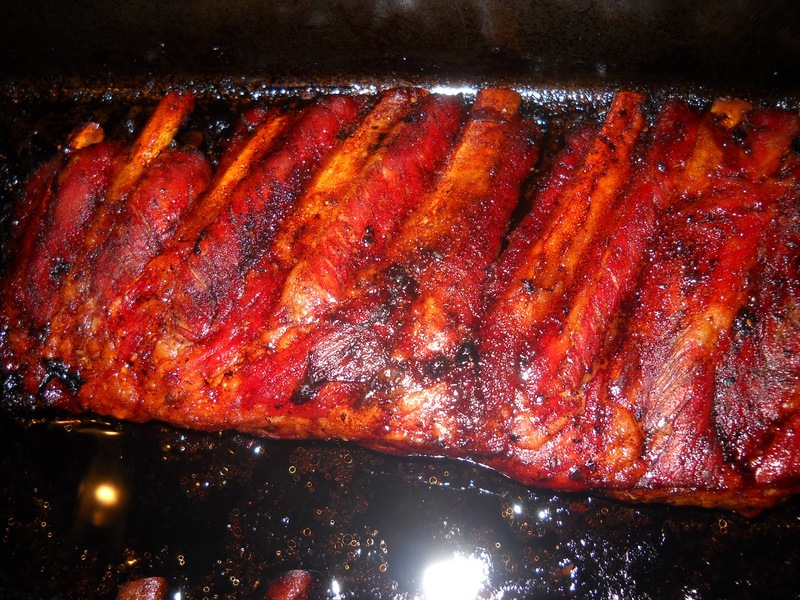 Visit the FFwD LYL section to see some more great rib serving suggestions. The quince is one of the strangest fruits. It is related to apples and pears, and looks like a strange overgrown yellow pear with downy "bum fluff" all over its skin. Quinces must be peeled and cooked before being eaten, as the uncooked flesh is pale, woody, bitter and unyielding. However, once cooked, the flesh becomes soft, dark pink and slightly tart. 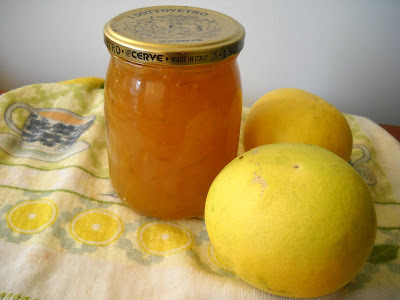 I adore quince jelly and have always wanted to make my own. 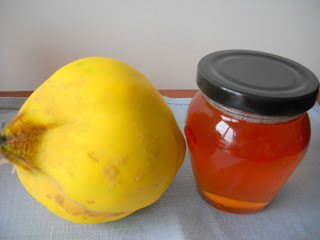 When the opportunity arose to acquire some quinces, I was determined to make quince jelly. Jelly is made using reduced fruit juice, as opposed to the whole fruit, like jam. Flicking through my cookbooks, I found a recipe for quince and orange jelly in Greg and Lucy Malouf's Saraban - A Chef's Journey Through Persia. I liked the idea of combining the flavours of quince and orange, so this is the recipe I went with. I was surprised at how easy the jelly was to make. It has to be made over a couple of days, as the boiled fruit must drain overnight and only the juice is used to make the jelly. 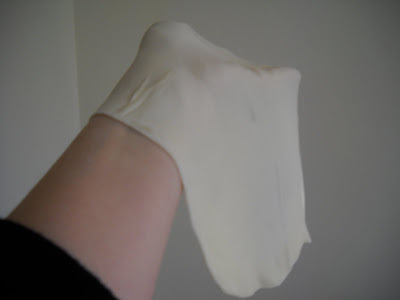 However, the jelly itself comes together quite easily. The finished product is delicious, although I think the orange to some extent overwhelms the quince. It can be enjoyed straight out of the jar (my preference! ), or on crumpets, toast or icecream, or melted to make a glaze for pies and tarts. Chop the quinces and oranges roughly. The quinces do not have to be peeled or cored (which is a relief, because they are quite a challenge to peel and core!). Put the fruit into a large, heavy based saucepan, cover with water, and bring to the boil. Lower the heat and allow the fruit to simmer for 45 minutes or until the quinces are tender. Strain the fruit overnight through muslin or a clean Chux wipe, catching the juice in a clean bowl. Just allow the juices to drip through and don't press on the fruit to avoid the juices becoming cloudy. The next day, measure how much juice you have collected, then pour it into a large heavy based saucepan. For every 500ml of juice, add 400g of sugar to the pan. Stir the juice and sugar mixture over low heat until the sugar has dissolved, then bring the mixture to the boil, and continue to boil it for ~ 25 minutes or until the jelly reaches setting point. You test for setting point by chilling a saucer in the fridge, then dropping a small amount of jelly onto the chilled saucer and running your finger through it. If this causes the jelly on the plate to wrinkle, it is at setting point. Remove the jelly from the heat and skim all the froth off the top. 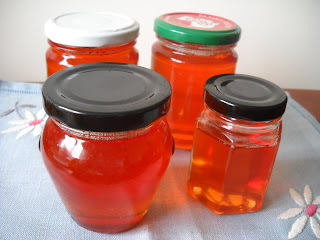 Pour the jelly into sterilised glass jars (remove any labels and boil the jars and lids or heat them in the oven at 180 degrees for ten minutes or so) and seal the jars while still hot. You should fill the jars so that there is only a small gap between the jelly and the lid to create the best seal. Allow the jelly to cool in the jars. The jelly will keep for 12 months, so you can enjoy it until next quince season. Alternatively, you can share it with your friends, which is what I did (keeping a jar for me, of course). Don't you love it when something simple ends up being something special? 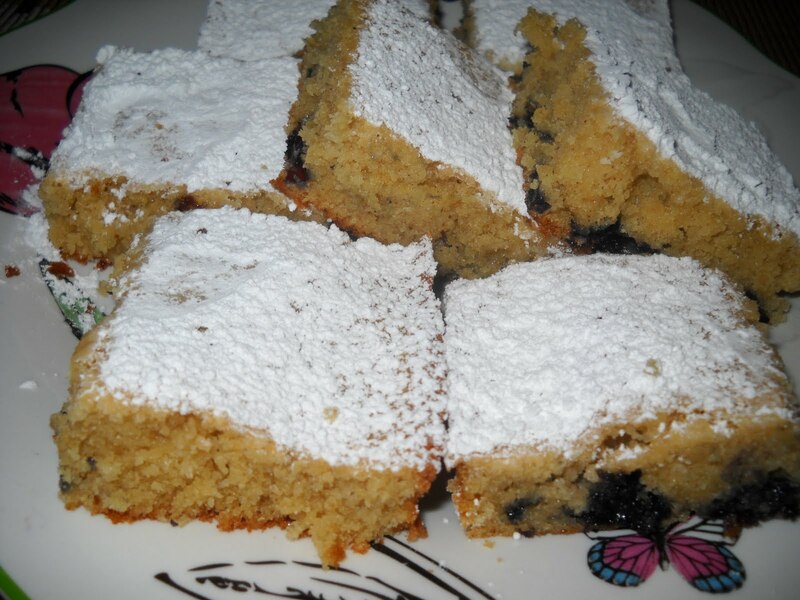 So it was with this week's Tuesday with Dorie pick by Cindy of Everyday Insanity, who chose Dorie's Blueberry Brown Sugar Cake. This cake was a snap to put together, and has a lovely caramel flavour from brown sugar combined with the lusciousness of blueberries. It is quick and easy to make, and is simply dusted with icing sugar to sreve. Perfect! 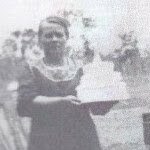 To see what the other TWD bakers thought of this cake, visit the LYL section of the TWD website - and visit Cindy, our host, for the recipe. This week's French Friday with Dorie has become French Sunday with Dorie - but better late than never, eh? The dish at the top of this post is Warm Weather Pot Au Feu - because this group is based in the United States, where it is summer, not in Australia, where it is winter. However, I was easily able to obtain all of the vegetables required, including asparagus. The Pot Au Feu is a chicken stock based broth flavoured with onion, garlic and leek, and with carrot, potato, mushroom, asparagus and spinach (in my case, Swiss chard) added. I also popped in some tinned corn that I needed to use up. The broth is topped with a soft boiled egg. For me, the highlight was the egg. The rest of the soup was a little ho hum, and not something I'd make again. Sorry, this is just not my thing, although I understand that lots of other people enjoyed it. On to next week! For those looking for my FFwD "warm weather" vegetable pot au feu, it will be coming, but not until tomorrow. Life has just been a little crazy for the past few weeks, so my blogging and visiting has been slightly more erratic because of lack of time. I will return to regular programming as soon as things calm down (likely to be after the end of the financial year!). In the meantime, my poor old blog's fourth blogiversary went by on 26 May unnoticed and unremarked - a travesty! This blog has brought a richness to my life in many ways, so it deserves better. Happy 4th birthday, Laws of the Kitchen! On 26 May, it was also The Biggest Morning Tea in Australia, an event to raise money for cancer research. This cause has become very real to me since my Mum and our dog have both suffered from the disease, so I chipped in to my work's Biggest Morning Tea with three different kinds of cake. As the date was appropriate, I will also adopt one of these cakes for my blogiversary celebration. One of the types of cake I meant to bring in were Elinor Klivans Chocolate Covered Hi-Hats. My friends Steve and Craig had brought me back a deck of Elinor's cupcake cards as a gift from New York, and all of my cakes for The Biggest Morning Tea were from that deck. The hi-hats looked suitably spectacular, so they made the cut. Unfortunately, I didn't realise that the hi-hats were made in Texas muffin pans. This meant that when I stuffed all of the mixture into poor wee regular muffin tins, I ended up with erupting cake batter all over my oven, and cupcakes with weird overflowing tops that stuck to the top of the tin. Faced with the dilemma of what to do with these ugly looking cupcakes, I took a bite of one of them - and fell in love. The chocolate cake was moist and delectable and definitely was worthy of being eaten - the problem is, in the looks department, those cakes weren't up to scratch. 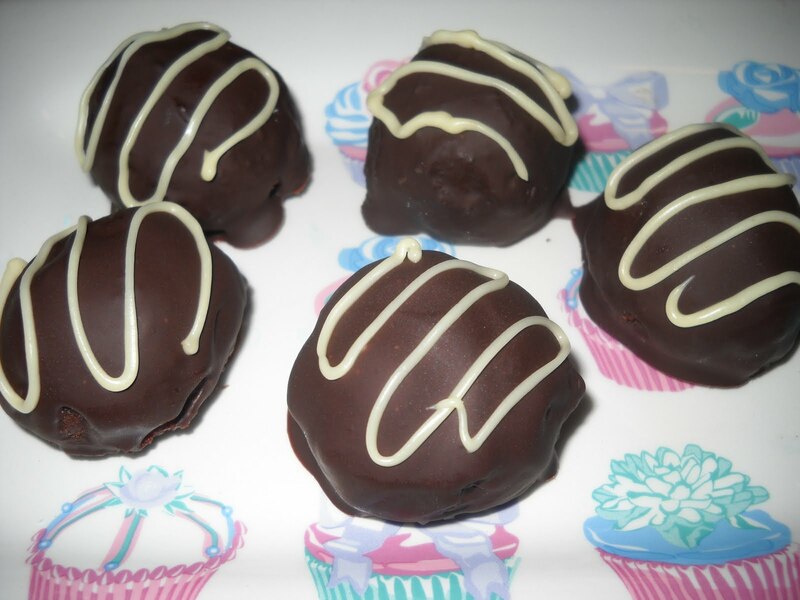 After some soul searching, I decided to make cake balls from them. This decision was not taken lightly, as I have previously made red velvet cake balls and was less than impressed - it seemed a waste of good cake to me. However, in this case, the cakes could not stand alone, so I had nothing to lose, and made them into chocolate cake balls. I used The Crabapple Bakery's Chocolate Fudge Frosting to glue the cake crumbs from the abandoned hi-hats into balls. The frosting recipe has been posted here. After freezing the balls for an hour or so, I dipped them in melted dark chocolate, and after the coating had set, I piped on squiggles in white chocolate for decoration. And lo - out of the ashes, a phoenix emerged that was the hit of my cakes with the punters - and also a hit with me. These chocolate cake balls were rich, moist, deeply chocolatey and decadent. If you added a splash of brandy to the cake mix, you'd have a treat fit for after a dinner party. Elinor's cake plus Jennifer Graham's chocolate fudge frosting were a match made in heaven - and I didn't miss those hi-hats after all.